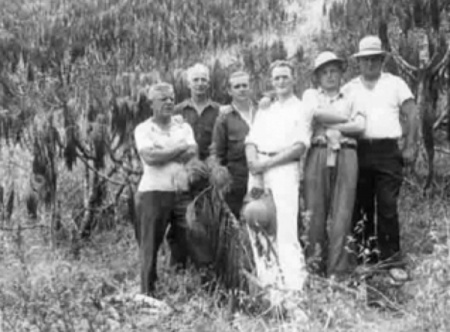 LACM Biological Survey participants included: left to right, standing: Don Meadows, Lloyd Martin, Myron Dunkle, Arthur Woodward, Russell Sprong, Jack Von Bloeker, John Comstock. Seated: George Kanakoff and Jewel Lewis. 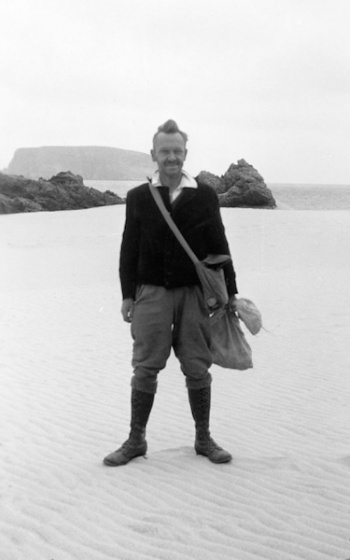 Los Angeles County Museum Channel Islands Biological Survey (1939-1941), an interdisciplinary research survey proposed by Don Meadows in 1938 to the directors of the Los Angeles Museum. It received board approval December 24, 1938. 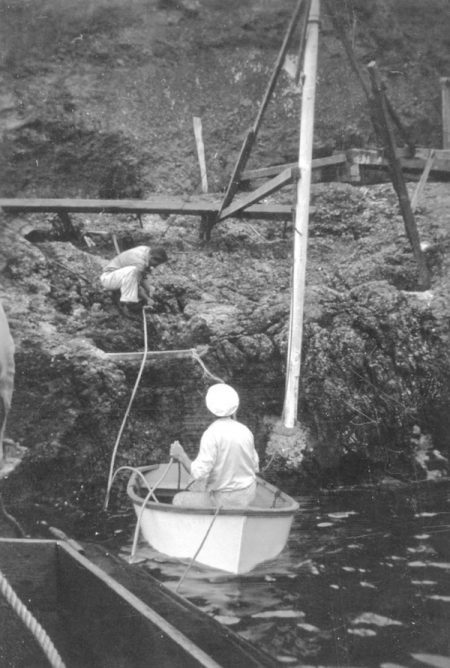 The basis of the survey was to focus on the life forms and their ecological relationships, together with geological and archaeological considerations on all eight California Channel Islands. Most transportation was provided by Captain Allen Hancock of the University of Southern California Allen Hancock Foundation, and the California Fish and Game Commission. 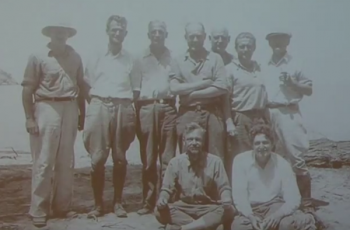 Thirteen expeditions were conducted over a two year period, before World War II cut short the survey. 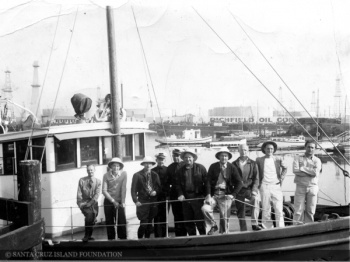 The thirteenth expedition was on Santa Rosa Island when Pearl Harbor was bombed, and arrangements were made for the schooner Santa Cruz to pick up the members of the survey and return them to the mainland. Some of the expeditions had several contingencies coming and going. All participants are listed below, although in some cases not all participants stayed the entire trip. Publications regarding specimens collected during this important survey project appeared irregularly in Southern California Academy of Sciences Bulletins from 1939 to 1962, and today the specimens collected continue to serve scientists. 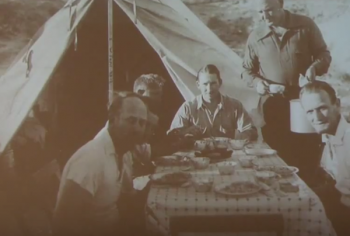 (Left to Right) Theodore Reddick, Meryl B. Dunkle, Jack C. Von Bloeker, Lloyd Martin, James DeLong, and Russell Sprong. This page was last edited on 29 March 2019, at 13:22.